2019 is the year for making a statement, bold and bright colours are hitting the street scene once again. Rock it with this graphic slogan tee, featuring subtle italicised ‘Saucony’ text on the front and the same logo in a large design between your shoulders on the rear. The red logo really pops on the pastel Hazelnut colourway. This tee has it all, making a simple and understated statement. 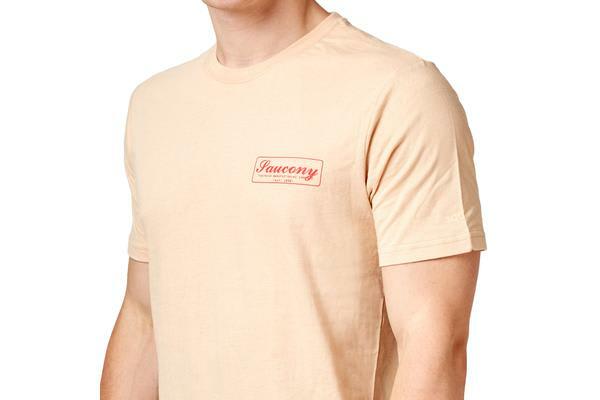 We love this tee in the pastel hazelnut colour! 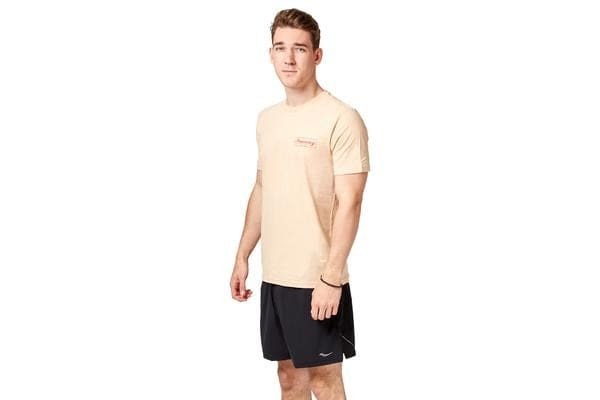 Lightweight, breathable and durable 100% cotton fabrication, perfect for summer street/ gym wear. Comfortable crew neck design with regular length short sleeves. 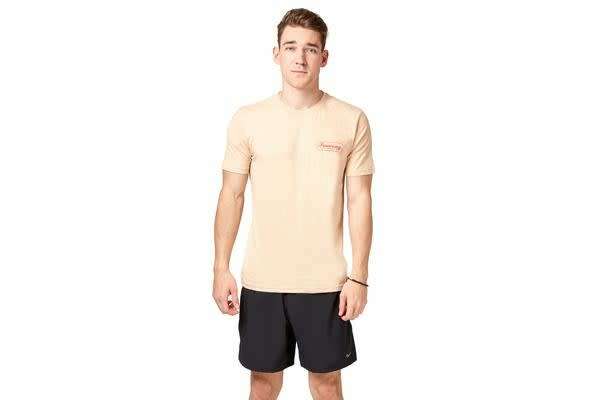 Looks great paired with Saucony joggers, pants or jeans with sneakers. We love the pastel hazelnut colourway, make this truly pop with some black shorts/ pants/ sneakers by Saucony!